What's Poppin' Tonight! Who's Who Fridays Every Friday at Cameo Nightclub #CameoFridays ~ Phresh Hott New! Tonight! 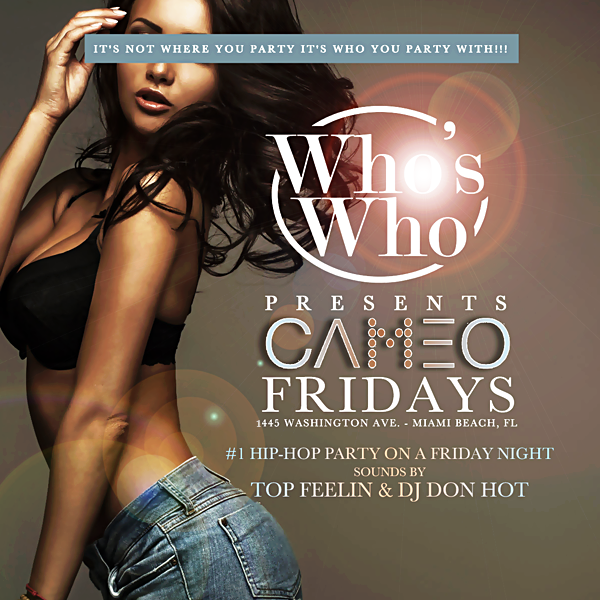 Who's Who Fridays Every Friday at Cameo Nightclub in Miami Beach. Another amazing night at #CameoFridays! Who's Who Presents #YMCMB Mack Maine Birthday Celebration w/ Red Cafe, DJ Stevie J, Karrueche, DJ E-Feezy and more at Cameo Nightclub.